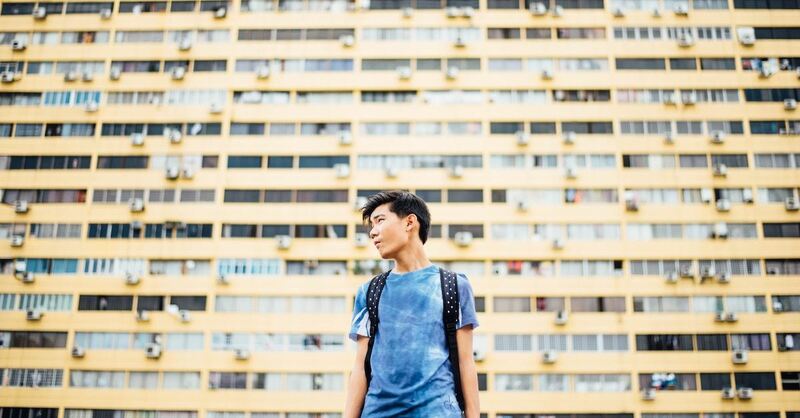 Being part of generation rent is almost always thought of as negative. For one thing, it’s incredibly expensive. Almost half of my take-home pay goes straight over to my landlord, and that doesn’t leave much for saving towards that elusive housing deposit. Not only that, renting is unstable. In the last five years, I’ve lived in five different houses, with a revolving cast of (sometimes peculiar) housemates. “I find moving… unsettling,” admitted one friend recently. Unsettling. No wonder so many of us in our 20s end up feeling unmoored. We normally think of this rootlessness as a problem that needs fixing—mainly by earning more, saving harder and buying bigger. But what if being part of “generation rent” actually gave us a unique opportunity to live for Jesus more wholeheartedly? There’s a saying that “an Englishman’s home is his castle”—but in Western culture, it’s more likely that an Englishman’s home is his idol (or an American’s home, for that matter). And if your church is anything like mine, homes are an idol in your church culture too. Sometimes I think I spend more time listening to people talk about buying homes and renovating homes in that 15-minute slot at the end of a Sunday service than I do any other subject—including talking about Jesus. Jesus lived a life of radical rootlessness. In the Gospels, we see him roving across the Middle-Eastern countryside, preaching, healing, and miracling. He’s not just renting—he’s sofa surfing. Jesus wasn’t having an existential crisis or even a financial one. His radical rootlessness was all part of his mission to proclaim “the kingdom of God” (Mark 1:15). Subjects of this kingdom become “foreigners and exiles” in this world, as they follow their King down his road of radical rootlessness (1 Peter 2:11). The King’s road is a road with a destination: home. Jesus describes heaven as his “Father’s house [with] many rooms ... And if I go and prepare a place for you, I will come back and take you to be with me that you also may be where I am” (John 14:2-3). Which makes this life like one long drive home—to a destination that will not disappoint. We’re driving towards endless celebration and feasting, with a banquet that will put the best Christmas or Thanksgiving dinner in the shade. This home is safe and permanent—there’ll be no rogue landlord or dodgy neighbours. It’s where our family is—a multitude of perfected brothers and sisters to celebrate with. Best of all, waiting eagerly at the door to welcome us in is Jesus himself. He’s the One who left his home in heaven, lived the life of a roaming preacher and died the death of a social outcast to bring us home. Now he’s standing at heaven’s door, ready to embrace us and say, “Welcome home.” When we feel unsettled and adrift, it’s an opportunity to set our hearts not on a 40-year mortgage but on the home with Jesus that we were made for. If we feel as if we’re floating through life with little to tether us down, we can rejoice that the swirl of the currents will eventually wash us up on eternity’s shore. Home, at last. Remembering that we’re driving home for heaven changes our expectations on the journey, too. The point behind Jesus’ foxes-and-birds comment is that if we want to follow him home, it often means giving up our comfort on the way there. The priority now is to “go and proclaim the kingdom of God” (Luke 9:60). This is wonderfully liberating. It means that it doesn’t matter if you haven’t bought a house. It doesn’t matter if you never buy a house. You haven’t failed at life. Being a citizen of the kingdom of God—and telling others about its King—is what matters. And a flexible, no-strings-attached lifestyle brings certain advantages to that end. I know a guy who lives with his parents and earns a living doing bank shifts in hospitals, so that he can take his medical skills to mission hospitals around the world at short notice. Is he wasting his 20s? I don’t think so. I find this hugely challenging, too. Whether we’re giving generously to church matters far more than whether we’re banking money in our savings account. Sure, there’s such a thing as financial prudence. But Jesus didn’t talk much about it. Is your mind set on proclaiming the gospel, or do you spend more time daydreaming about getting the keys to a house? Are your expectations for where and how you’ll live pretty similar to those of the people you went to school with? Might it be that you’ve bought the world’s lie that settling down is what’s important? I know that, all too often, I have. Our longing for home is a good thing, even if sometimes it’s a hard thing. It’s an opportunity to live radically, like Jesus; and to remember where home really is. In many ways, it’s actually easier for a member of generation rent to embrace that truth than it is for a mortgaged-to-the-hilt homeowner. The last time I moved house, I felt a little sad as I packed my life into boxes. Seeing all my worldly possessions in the back of a van reminded me that there’s not much to them. They looked kind of pathetic. As part of the move, I threw a lot of stuff out. As I went to put a stack of old wedding invites, cards and keepsakes into the paper recycling, I hesitated. But I did it anyway. Because I don’t need to cling on to this stuff in an attempt to make myself feel at home. I’m just passing through. I’ve got a better home waiting. 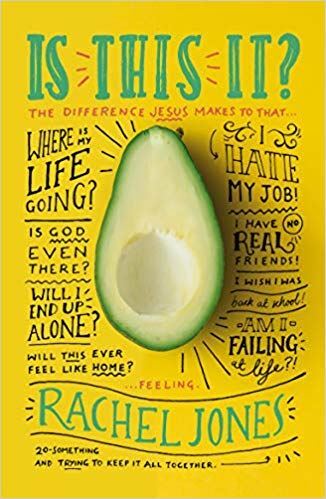 Rachel Jones is an editor for The Good Book Company and the author of Is This It? The Difference Jesus Makes to that ‘Where-is-my-life-going-I-hate-my-job-I-have-no-real-friends-Is-God-even-here-Will-I-end-up-alone-I-wish-I-was-back-at-school-Will-this-ever-feel-like-home-Am-I-failing-at-life’ Feeling. Available from Amazon or direct from The Good Book Company.